businessBUILDERS have supported the purchasing of Surface computers from Microsoft since the Pro 2/ Surface 2 first entered the market, the figures are not flash on the numbers that have been returned. 85% of the sales are through Harvey Norman, as the first listed preferred supplier. 12.9% have been returned in the first 24 hours, and almost as bad is the Microsoft phones, 11.4% returned. 38% of all Surface product has reported an issue with the 74% of these being related to charging and or Starting issues. But currently the latest Pro 4 had managed a staggering 42% return rate in the first 6 months. The Internet has gone over 6 million Bing / and similar Google entries, about the power, screen, hardware failing issues. Just getting the Surface Book to restart seems difficult, and look’s like a battery over charge issue. But then who really knows, not Microsoft. 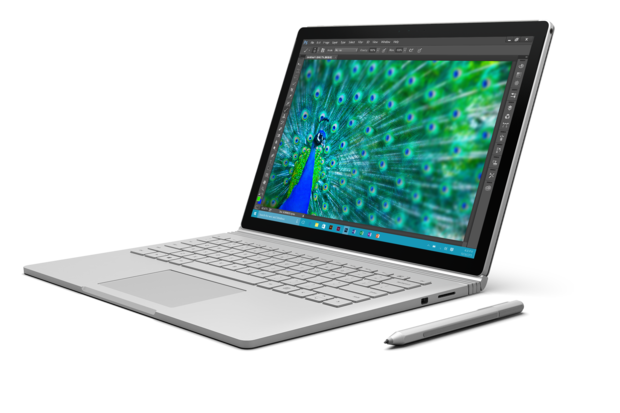 Microsoft’s new flagship systems, the Surface Book and Surface Pro 4, shipped on Monday accompanied by an out-of-the-box patch. Judging by the volume of cries on support forums, a substantial number of new owners aren’t happy. At least one of the problems, though, has a user-generated fix. It has hard hung / locked up 9 times now since it arrived. I am seeing lots of issues traced to the Intel graphics driver (including app crashes where the call stack is in the Intel driver). However, the hangs don’t result in BSODs or normal event log entries or memory dumps. I did discover that Reliability Monitor has entries for them though, listed as “Hardware error”. Some/most of them have a bucket ID with the Intel graphics driver in the name. I have had several freezes since I got the pro4 (i5 version) several weeks ago. It has also had a few different upgrades and patches pushed to it. The screen freeze seems to be random. I like the device when it works. The problem is that it is completely unreliable – if I have an important presentation, I always have it on my dropbox so that I can present from my phone if needed. . I went through a hour+ long s/w update today – lets see if it works. There really is no excuse for this. If MS wants to get into the premium market, it needs to follow through in a premium way. That means holding back the product a few weeks if there are driver issues. It can not afford to look to have more issues with a new product than Apple until at least it has a reputation for being as good as its word. If on the other hand, it wants to join the other average OEM, then it needs to market its machines there with similar prices. Cant have it both ways and expect to succeed. We dont use Harvey Norman, and with good reason – Screen flicker (including black on and off) with fully updated Surface Pro 4 (Dec 2 firmware, etc.).. DON’T BUY A SURFACE PRO!!!! Our 2017 report on Microsoft is available, comment to receive a free copy.